Residents in eastern Congo say the United Nations peacekeeping mission is not doing enough to stop the clashes that erupted this week between the army and renegade forces. The fighting has left dozens dead, and forced thousands of people to flee eastern villages. Fresh clashes erupted in eastern Congo Monday between government forces and renegade troops, forcing large numbers of civilians to flee. 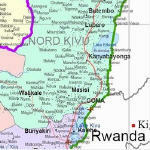 The UN Refugee Agency has expressed concern over the plight of thousands of civilians forced to flee worsening tension and fighting in North Kivu province of the Democratic Republic of Congo (DRC). Medical experts with the U.N. World Health Organization are investigating an outbreak of an unknown illness with a high mortality rate in the Democratic Republic of the Congo. 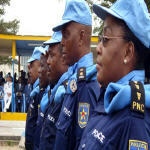 Thursday 30 August 2007 marked the official handing over ceremony of UN berets for 12 National Congolese Police (PNC) officers, who will start 12 month tours of duty in UN peacekeeping missions in Haiti and the Ivory Coast. This historic occasion marks the first time ever that Congolese police officers will serve under the UN flag. 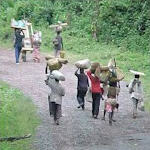 Thousands of newly internally displaced people are fleeing rising tensions and insecurity in the Masisi and Rutshuru districts of North Kivu in the eastern Democratic Republic of the Congo (DRC). The population of one of the makeshift camps at Mugunga, some 15 kilometers west of Goma, has doubled over the past three weeks, according to those staying there. 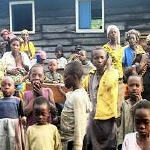 Just four weeks ago, Mugunga hosted an estimated 9,000 internally displaced persons. Today, there are some 18,000. An epidemic suspected to be haemorrhagic fever has broken out in the Mweka area, about 100km north-west of Kananga, the administrative centre of Kasai Occidental province in the Democratic Republic of Congo, with more than 100 deaths, according to health authorities. 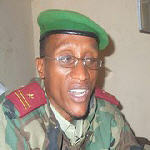 Democratic Republic of Congo (DRC) 's district of Rubaya in the region of Masisi in the eastern province of North-Kivu has been taken over by troops loyal to renegade general Laurent Nkunda after fierce clashes with DRC armed forces (FARDC), according to sources. A journalist rights group is calling for a retrial in the Democratic Republic of Congo after four men were convicted Tuesday by a military court of killing a journalist and sentenced to death. 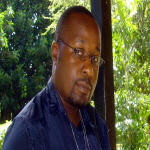 Congolese police officials say justice has been served, but Reporters Without Borders says the trial has been a farce. 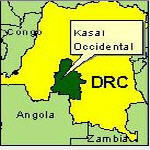 On Tuesday 21 August some 10,000 displaced Congolese crossed the border from Rutshuru area in eastern DRC's north Kivu province into the Ugandan district of Kisoro in southwestern Uganda. While the majority numbering approximately 8,500 persons had returned home two days later on 23 August, approximately 1,500 Congolese remained in Uganda, the majority of them being women and children.